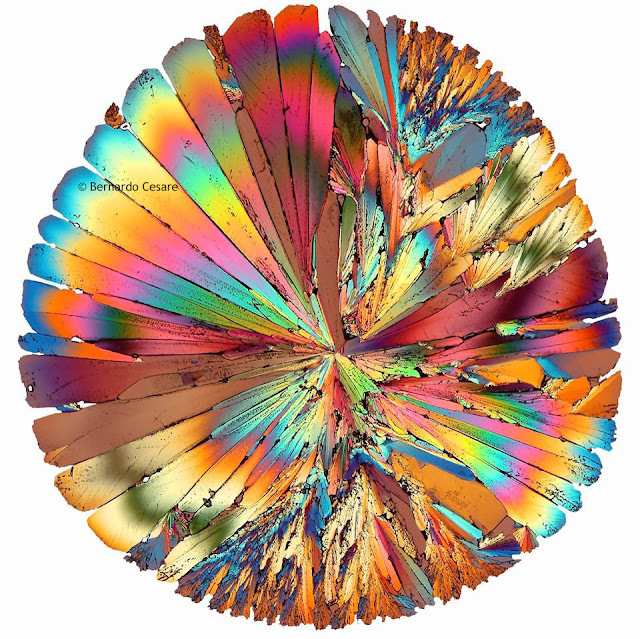 Bernardo Cesare is a Professor of Petrology at the Department of Geosciences of the University of Padova, Italy. 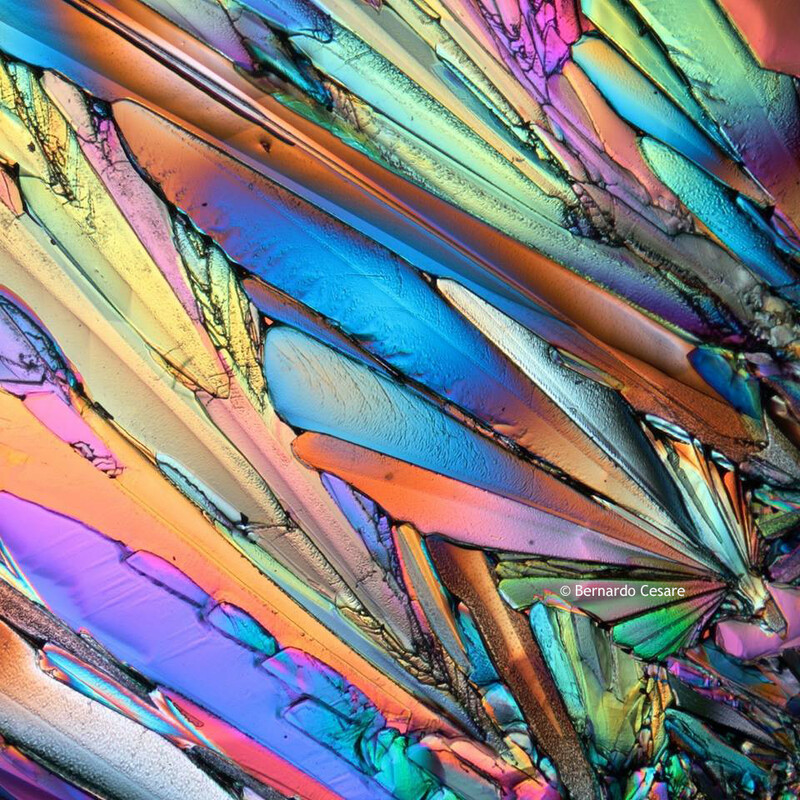 His scientific interests include metamorphism and melting of rocks, mineralogy, and the study of inclusions in minerals. 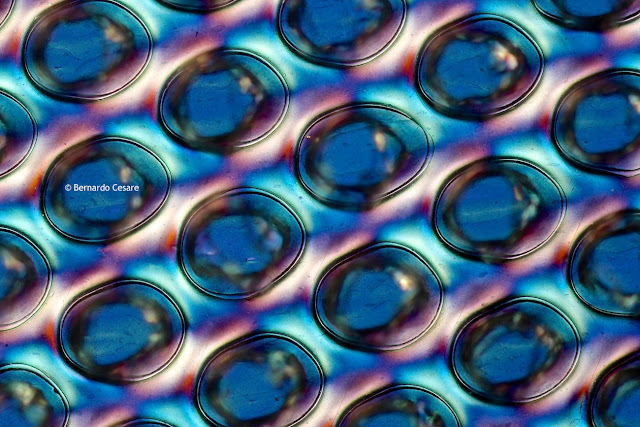 He extensively uses photomicroscopy to describe the subjects of study and their morphological features. Cesare's photomicrographs were captured with a digital reflex camera mounted on a polarizing microscope. After shooting the image, no manipulation is involved. 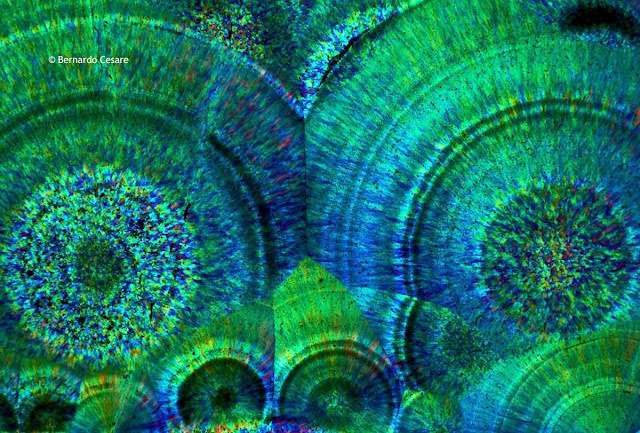 The interference colors are the result of natural propogation of polarized light into minerals, and of the use of the microscope compensator λ. 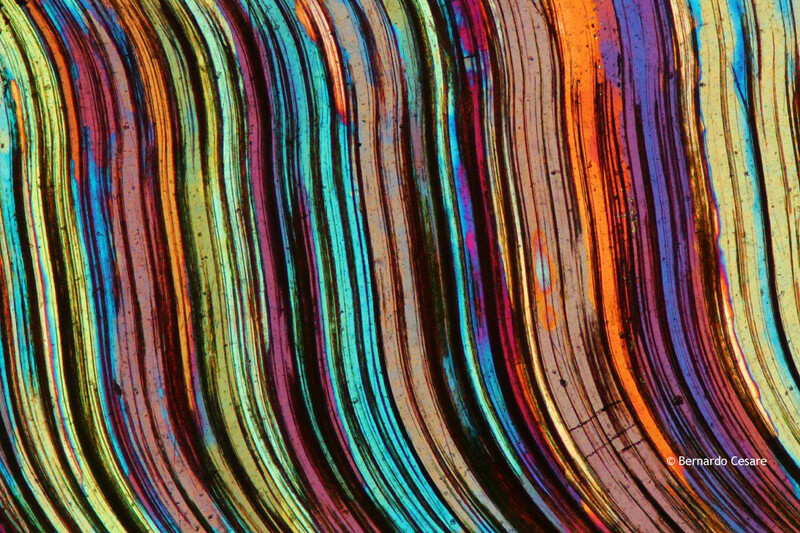 In order for the rock sections to be transparent, all rock samples are cut, sliced, and thinned down to a 30-micron (0.03mm) thickness and mounted on a glass holder. This is the standard "thin section" research technique of geologists. 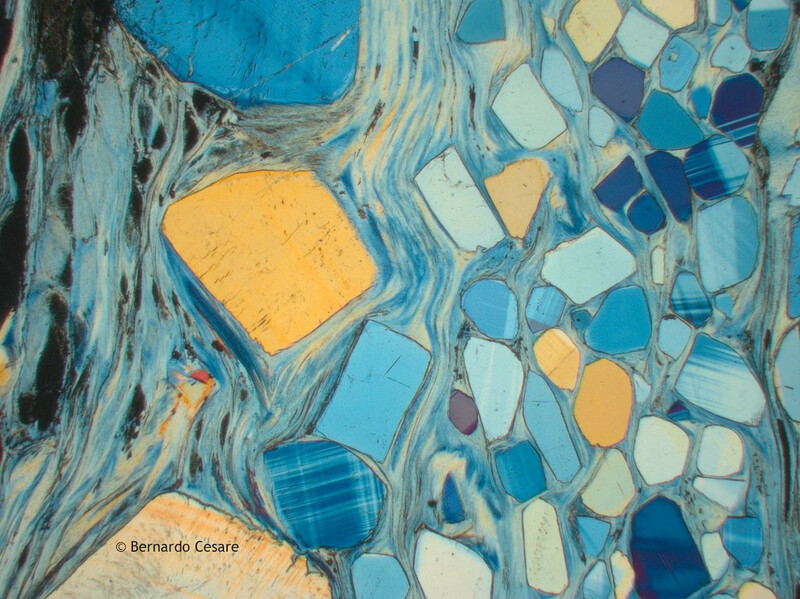 Thank you to Bernardo Cesare for sharing his images with Microscope World. To view more of his images please visit his website: micROCKScopica.org.